Online Presence Builders was able to create and develop a new website for Precision Mechanical Services. The design is visually appealing, having content that search engines may easily navigate and rank. PRECISION MECHANICAL SERVICES, Inc. is a mechanical contracting company. With extensive experience in cellular environmental maintenance, remote radar site maintenance, electrical production (generators), and all facets of heating and air conditioning. They specialize in fulfilling Government contracts by tailoring our services with cooperation and flexibility that meets client’s needs. They also provide preventative maintenance, building maintenance, and emergency services. 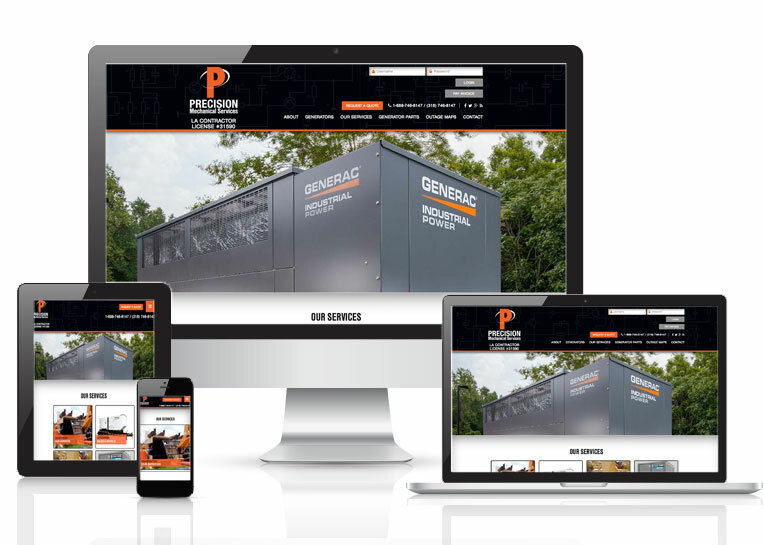 Online Presence Builders implemented a strong content strategy for Precision Mechanical Services, Inc of Shreveport LA to give them strong results in search engines and help users of the site navigate through the website easily.